Rich, velvety and flavourful, our butter chicken sauce is made with our signature Garam Masala and contains no additives or preservatives. This gluten-free vegetarian sauce is suitable for vegetables, beef, chicken, seafood, paneer, and tofu dishes. 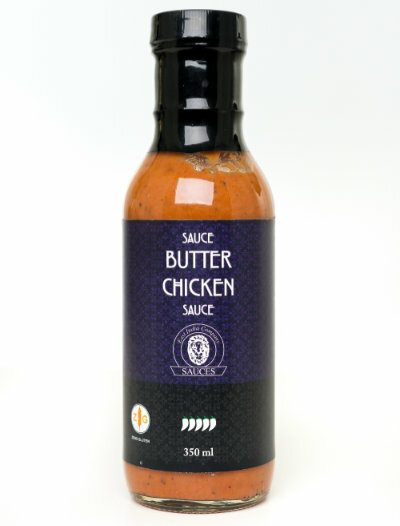 Alternatively, our butter chicken sauce is also great on chicken wings, pizza crust, and poutine –– experiments are encouraged!